Large CURB project: note lawn removal and carefully designed plant layout. The same site after a year of growth. 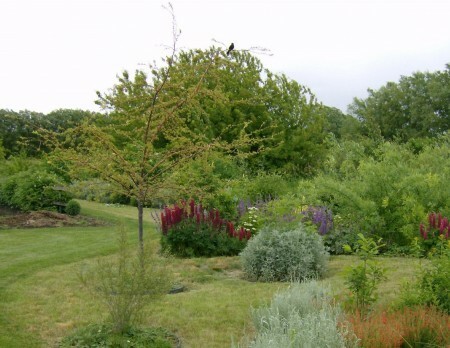 Native grasses fill in around the shrubs and trees. Buffer still being established; in future years the native grasses will not need mowing. 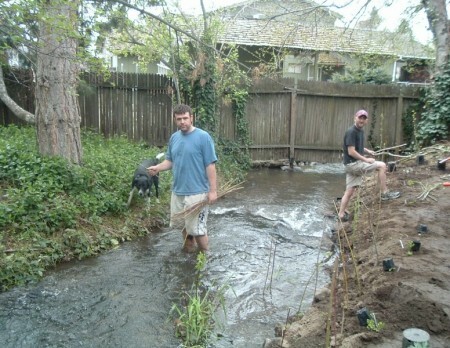 The goal of the Creating Urban Riparian Buffers (CURB) program is to improve water quality and wildlife habitat of streams that flow through the urban centers of Walla Walla and College Place. The best way to achieve this is to plant native trees, shrubs and grasses, creating a buffer between the stream and development. 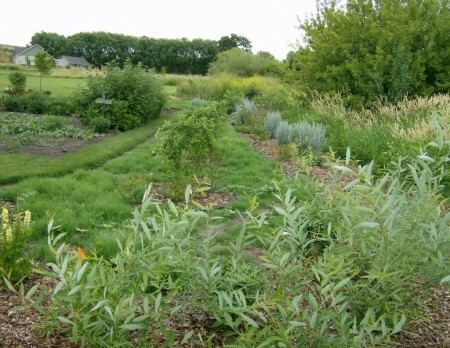 These areas are called “riparian buffers.” They are highly effective at preventing water contaminated with pesticides, fertilizers, and other chemicals from entering our streams. When mature, the trees provide shade to keep water cool and their roots help stabilize the stream banks. 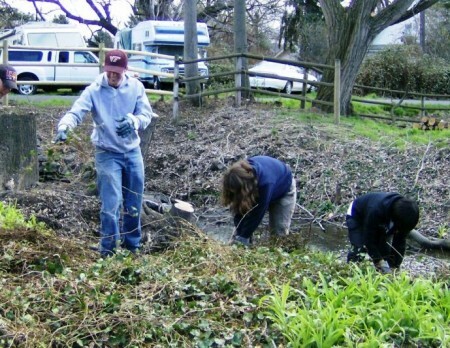 The CURB program began as a cooperative program drawing on the talents and expertise of Tri-State Steelheaders, Kooskooskie Commons, and the District with funding from the Department of Ecology. Unfortunately, the CURB program is no longer funded, but the District can still help homeowners plan a CURB buffer. 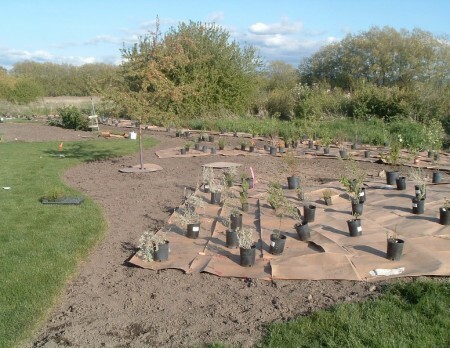 Buffers of predominately native plants can be designed with the goals of minimal maintenance, low-water consumption, and to compliment the landscape of your backyard. Native plants are available from these Native Plant Sources. If you are interested in receiving help designing a CURB buffer for your backyard, call Tri-state Steelheaders or the District at 522-6340 ext.5.